No Long Term Commitment – our fitness center memberships can be terminated with 60 days notice. Payment Options – Monthly or one-time annual payment. Annual fitness center membership receives a 10% discount and 13th month free. Police / Fire and Military Discounts available. Young Adult (13-27 yrs) and Senior (60 & over) Discounts available. Our most comprehensive fitness membership option provides club access 7 days per week, opening through closing. 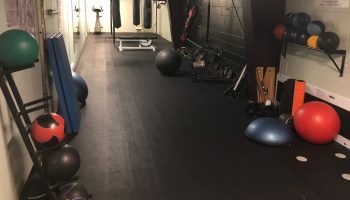 Membership privileges include unlimited use of our extensive group exercise programs; all strength-training areas, basketball, state-of-the-art cardiovascular center ‘wet’ area access, including swimming pool, steam rooms, whirlpool and unlimited racquetball privileges. This is ideal for the active family. For family of five, parents & their children can all come in for one low monthly fee. Parents & young adults have Executive use of our full-service fitness facility with racquetball. For one low monthly fee your child can select from any of the age-appropriate activities on our diverse Kids’ Club schedule. Take as many classes as you like per day or per week! It’s the perfect membership option for children 12 & under. * Includes on swim lesson per week September 15th thru May 15th only! A discounted rate for off peak users. This is an Executive Membership which allows use of the club weekdays between 5:00 a.m. and 4:00 p.m. This membership is for people who can only make use of the facility on the weekends. “Executive” access to the Fitness Center and racquetball is on Saturday & Sunday, 7 am to 6 pm.